I’ve been in the construction business for a long time, and know from experience that the range of remodeling options gets longer every year. Below are some of the more popular recent trends, all of which can add comfort and value to your home. The kitchen is often the most popular room in any home, so let’s start there. One of the most popular trends is transitional kitchens, blending modern elements like stainless steel appliances with traditional interior design. Slide-out shelving is a great investment, making use of available space for necessary storage. Hardwood flooring, always popular, is now appearing in planks six inches wide and more. Antique wood flooring for the kitchen is also very popular. Farmhouse sinks are now available in a huge variety of sizes and styles and can be used in almost any style of kitchen. 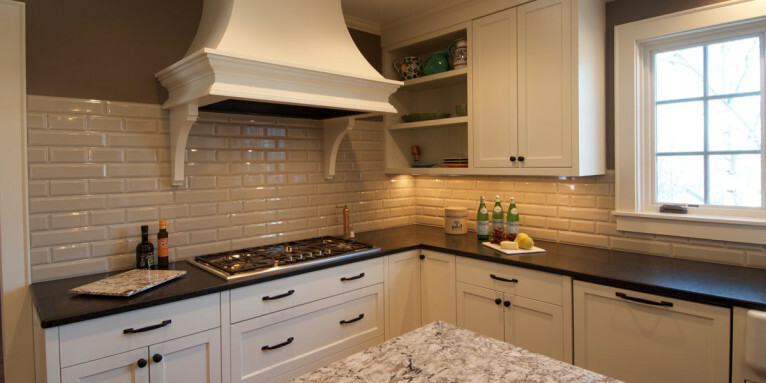 White, black, and gray colors to highlight the kitchen remain popular because of their versatility. These colors stand the test of time. Don’t forget technology! The popularity of “smart” devices is moving into the kitchen. Programmed lighting and heat is just one example. Why not remodel your bathroom into a retreat where you can unwind after a stressful day? Spa-inspired bathrooms can incorporate details such as plants and earth tones, and natural materials such as stone, wood and marble. Aging parents needing more care often move into their children’s homes. Many modern families are returning to more traditional, multi-generational households. Adding an ADU – for example, finishing a basement or attic, or converting a garage – may provide adequate living space. Or adding an in-law suite might be a better solution. Don’t forget, an ADU can be an income generator too! What works for your in-laws today could turn into rental income in the future. Energy costs are low today, but they’ll go up again. So let’s talk energy efficiency! High-efficiency heating and cooling systems are a sensible place to start. Solar power and water heating systems can also save money in energy costs. Tube skylights (also called sun tubes) are relatively easy to install and can lower lighting costs. And whole house fans are a cost-effective way to cool your home. Should I Pay Attention to the Review Sites Online?